In home stair lifts from Indy Stair Lifts, the nationwide leader, help you or your loved ones regain your independence. We offer a variety of in-home stair lifts that allow you to conserve energy as you move from floor to floor and avoid negotiating stairs. Our stair lifts are easy to use, make your home safer, and enable you to enjoy the comforts of your home. We offer a variety of models for straight and curved staircases, from the Indy Lux, with a weight capacity of 400 pounds and a large 21.75-inch wide seat with adjustable armrests, to the Indy Curve, which is customizable to your stairway’s specification and hugs every curve and corner of your stairway. We beat the competitors with a ten year warranty for home stair lifts and 24/7 phone support at 888-203-5754. 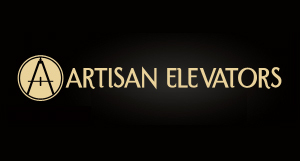 Call us with any questions about your stair lifts, and our knowledgeable representatives will be happy to help. You can call right now for information about our in-home stair lift models to determine which is best for you and your home. Licensed and certified installers are available to set up your in home stair lift, ensuring it fits perfectly on your stairway and will carry you up the stairs comfortably every time. Indy Stair Lifts is proud to offer veterans discounts to honor those who have served the country. We also sell used in-home stair lifts and offer stair lift rentals for those who may need a stair lift for a limited time. 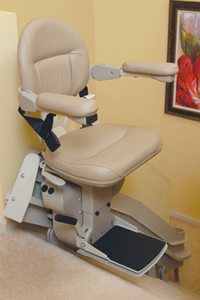 We also have a buyback program for stair lifts that no longer suit your needs. Please call us today at 888-203-5754 for information on the industry leading stair lifts that will restore independence to you or your loved ones and increase the joy you experience in your home.